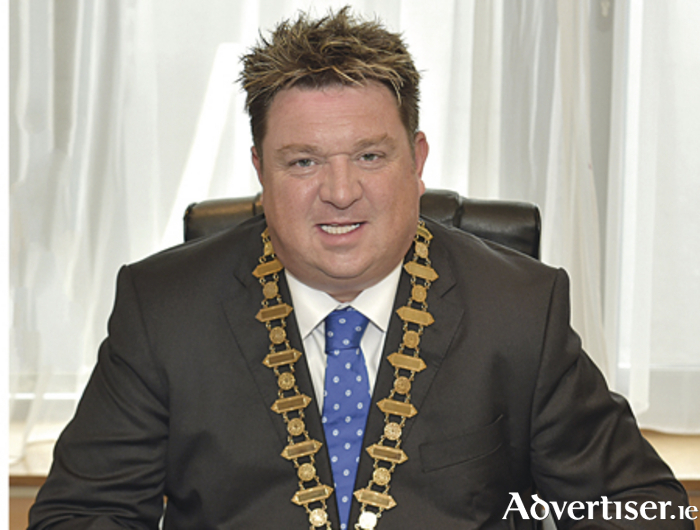 The Connacht Hotel’s Shay Livingstone, Chair of the Galway Branch of the Irish Hotels Federation. Galway hoteliers have welcomed the strong growth in visitors to Ireland announced last week The latest figures from the Central Statistics Office show an 11.7% increase in trips to the country by overseas visitors during the first six months of the year. The Connacht Hotel’s Shay Livingstone, Chair of the Galway Branch of the Irish Hotels Federation says that the increase in visitors has provided a very welcome boost to Irish tourism, building on last year’s performance. He says total overseas visitors to Ireland are now expected to reach 7.8 million this year, up from 7.3 million in 2014. Mr Livingstone states that the tourism industry continues to act as an engine of economic growth and job creation in Galway thanks to a number of highly effective initiatives from the Government, including the zero rate travel tax and the 9% tourism VAT rate. Mr Livingstone states that the upturn in overseas tourism has been underpinned by strong marketing initiatives from Fáilte Ireland and Tourism Ireland with recent campaigns achieving impressive cut-through in re-energising Ireland’s tourism brand and giving holidaymakers new and compelling reasons to visit. He notes that, in addition to growth in overseas tourism, the sector is benefiting from a stronger domestic economy – albeit from a low base following years of subdued consumer confidence. He says that hotels and guesthouses in Galway are seeing increased business from the island of Ireland as growing numbers take holidays and short breaks at home and spend more money on leisure activities. This is very important for the local economy and provides a boost for tourism businesses that rely on the home market. Mr Livingstone cautions, however, that growth in hotel revenues in Galway is from a low revenue base following the downturn. He says that many hotels and guesthouses continue to face challenging conditions and are still a number of years away from achieving sustainability. In particular, Mr Livingstone points to the high cost of doing business in Ireland as a significant challenge, including excessive local authority rates which stifle cost competitiveness within the sector. Tourism is one of Ireland’s largest indigenous industries and supports approximately 205,000 jobs – equivalent to 11% of total employment in the country. It accounts for almost 4% of gross national product (GNP ). Last year, Ireland attracted 7.3 million overseas visitors and total tourism revenue was €6.45 billion, of which foreign exchange earnings in the economy amounted to €5 billion. Overseas visitors are expected to reach 7.8 million this year. As a result of a number of pro-tourism measures, such as the 9% tourism VAT rate and zero rate travel tax, tourism and hospitality businesses now support an additional 33,000 new jobs compared with 2011. This accounts for more than one of every three net new jobs created in Ireland over this period. Based on projected rates of growth in overseas visitors, the IHF forecasts that Irish tourism as a whole is now on track to create a further 40,000 jobs by the end of the decade.